It is now mandatory for all students studying at schools in Wales to learn Welsh up to GCSE level and to take GCSE Welsh as a second language. Although Crickhowell High School is an English-medium secondary school, those students who come to us from Welsh-medium schools are supported in their course of study, through the provision of one hour per week as an extra curricular activity. Cymraeg – the Welsh language, is spoken by 500,000+ people in Wales. It has been the only language of most of the Welsh population for almost all the nation’s 1500 year history. Even in 1891, 51% of people in Wales spoke the language, including many assimilated incomers of differing ethnic backgrounds. The very word Britain (Prydain in Welsh) is of Welsh origin. To be more accurate, it’s “Brythonic”. That’s the language from which Modern Welsh has evolved. In Roman times, Brythonic was spoken right across the island of Britain, as far north as what’s now southern Scotland. Apart from Latin and Greek, the Welsh language has the oldest literature in Europe. From those earliest poems from what is now southern Scotland and Northern England, the tradition continues unbroken to the present day. The tales of the Mabinogi are the earliest prose literature in Britain and a distinctive contribution to European literature. Poetry remains a central feature in present-day Welsh-speaking culture. Short poems or “englynion” are still composed for special occasions, such as weddings. They call Wales “Gwlad y Gân”, the Land of Song. The Wales-New Zealand rugby match in 1905 was the first time a national anthem was sung at the start of an international sports event and it was of course Hen Wlad Fy Nhadau (The Land of My Fathers). Landscape and place naming in Wales are deeply intertwined, with many place names telling you something about the topography or history of a location. For example if a place name starts with ‘Llan’, it usually means that there’s a church in honour of a saint. Llandudno is named after St Tudno and Llanelli is named after St Elli. If you want to understand something about the history of the country, learn Welsh. Whilst the decision to learn Welsh is often an emotive one, it really is the only way to fully embrace the wonderfully diverse culture of the country. 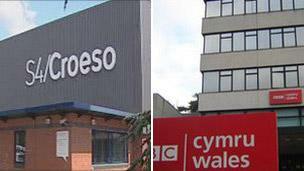 Today, anyone living anywhere in Wales is quite simply better off speaking Welsh. Many jobs demand it; many others would rate it as an advantage. Even in English-speaking areas, the public sector is committed to offering services in both English and Welsh and, although there is no legal obligation on private businesses to do the same, there is often a commercial obligation. And of course, Welsh is an official language of the new Welsh Assembly. In Years 7 and 8 the teaching focus is on extending the students knowledge of grammar, in terms of using different tenses, and idioms and developing complicated sentence structures. Students will also be set a ‘grammar’ project, involving writing a short piece about themselves and their lives. Conversational work revolves around discussion of everyday topics, such as family, friends, residential area and hobbies. Students are encouraged to express opinions in more complicated sentence structures as an extension to their grammar work. We also introduce pair work and simple role play. Students are introduced to a piece of poetry at this stage, as this is helpful preparation for the GCSE course. They perform a school poem at the Eisteddford and also on St. Davids Day in the Sports Hall. Homework for these early years is set once a week, as it is important that students maintain regular contact with the language. This will either be learning vocabulary, a short writing task, a reading / listening / speaking exercise. It is recommended that students purchase a small Collins Welsh-English dictionary for home use as the school only has a limited supply for school use. This is an externally assessed oral examination in two parts, with students being examined in groups of up to three. 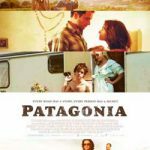 In the first part , students discuss the film, Patagonia. This is a film about Gwen and Rhys, a Welsh-speaking couple living in Cardiff, where Rhys works as a photographer and Gwen is employed as a historical interpreter at a local Welsh cultural centre. Gwen is also an aspiring actress and, although she periodically attends auditions, she has yet to be hired for a theatrical part. The couple’s inability to conceive a child has caused increasing tension between them. Hoping to reinvigorate their relationship, the pair decide to travel together to southern Argentina where Rhys has been commissioned to photograph the historic Welsh chapels in Patagonia, a vast windswept landscape which was a destination for Welsh immigrants in the late 19th and early 20th centuries. While there, they are served by their local Welsh-Argentine guide, Mateo. Meanwhile, an elderly Welsh-Argentine woman, named Cerys, is planning a trip to Wales to discover the farm where her mother was raised before emigrating to Patagonia during the 1920s. She decides to take along her agoraphobic young neighbor, Alejandro, to assist her. In Wales, he finds romance with a local girl, Sissy. In the second part, students are questioned individually about one of the pieces produced in Unit 2. Students are required to produce a Package focussing on one area of either a specific area of Wales, a social, cultural, vocational, historical or political issue. Whichever subject matter is chosen, it must be of local or national interest and be traditional or contemporary in nature. Once the area of interest has been chosen, students are expected to produce three extended pieces of work in the form of either a report / article, a portrait, a story, a conversation / interview, a letter, a blog or a diary. Each piece should be in a different form. This is a written examination in two parts focusing on the use of the Welsh language and poetry. In the first part, students tackle a linguistic exercise, which might involve correcting errors in a text or changing the tenses of verbs. 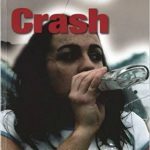 In the second part , students discuss the play by Sera Moore Williams, entitled Crash. This carefully crafted piece deals with several meanings of the word, starting with one and ending with another, as it tracks a few weeks in the lives of three teenage school pupils going through exams, adolescence and the emotional pile-up that is part and parcel of the transition to adulthood. Elin is a typically misunderstood teenage girl, struggling with hormones and temptation and exams and parents who want the best from her. Her ‘no good ‘ boyfriend is a homeless school drop-out, doing drugs and booze and stealing cars, who is a wannabe drugs baron. Elin’s long-time best friend is an immature geek left behind as Elin moves on to new experiences. He’s also a wimp who can speak sense. Three very recognisable characters here transported into a modern tragedy with a seemingly inevitable ending. In the third and final part of this unit, students are examined individually, responding to questions on any of the texts studied during the course, the themes of which may be family, relationships, responsibility, love or communication. This is a written examination in two parts. In the first part students answer a question on the theme of Welsh language in society, which encompasses such topics as the Welsh Governments policy towards the Welsh language or the challenges facing the Welsh language on a local or national level. In the second part, students are given a text in English and required to respond to questions in written Welsh. Their responses may be in the form of a letter, article or an information pamphlet. The English text may relate to a current news story, current affairs or an image of Wales and the world. To prepare for this unit, it is recommended that students pay regular attention to articles in Welsh-language magazines and newspapers and keep an eye on news programmes online and on TV. This is a written examination in two parts. This is a written examination in two parts focusing on the use of the Welsh language and a short story. In the first part, students tackle a linguistic exercise, which might involve correcting errors in a text or changing the tenses of verbs.